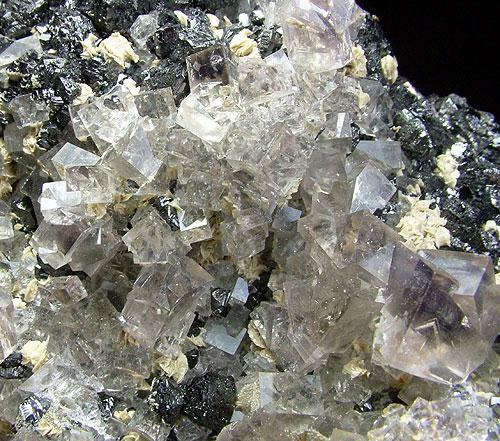 A very large specimen of Diana Vein material featuring several glassy twinned fluorite crystals are spread over complex black crystals of sphalerite with minor ankerite on a thick double sided matrix. 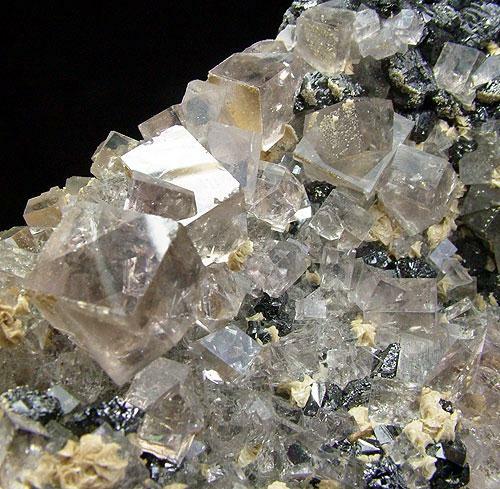 Uncommon though sadly incomplete are the larger crystals at one end of the specimen. 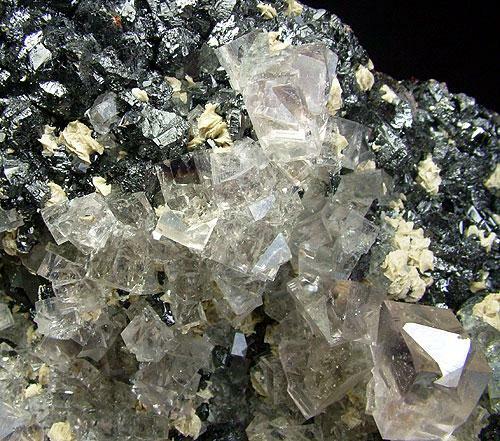 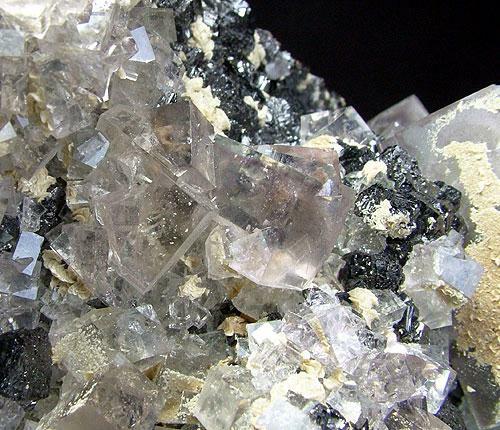 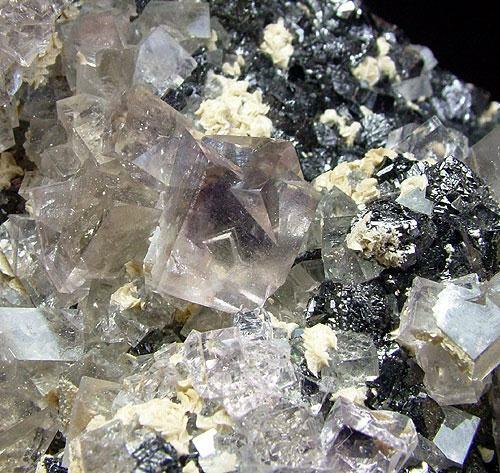 Discovered in 1978 this find in Beaumont Mine, then run by British Steel produced very sought after specimens of pale grey green, slightly pink gemmy twinned crystals of fluorite with sphalerite and minor ankerite. 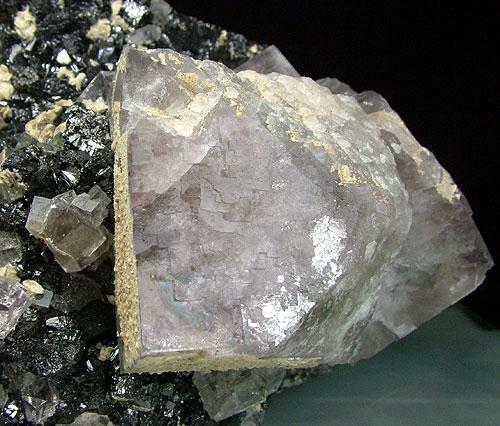 Specimen is very heavy - postage rates indicative, actual amount will be charged on invoice/quoted on request.